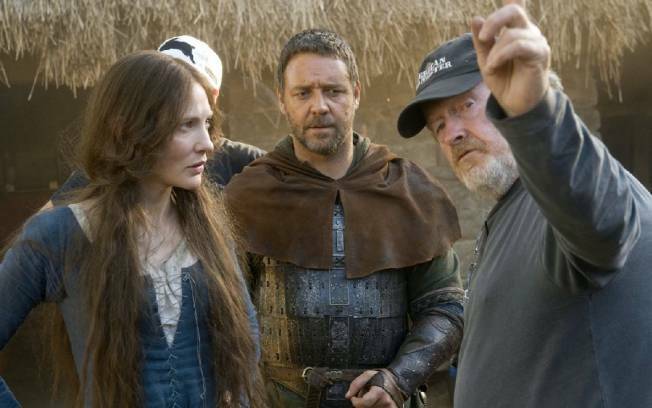 Historians might be split on whether Robin Hood really existed, but director Ridley Scott believes that the iconic character was real. "Kevin Costner's was fun, leaning more heavily on the clowning of Robin Hood," Ridley, who directed Russell Crowe in the new version of "Robin Hood," recently told MTV News. "On this one, I wanted to go more real, because I really believe he existed," he explained. "The ones to date always treated Robin Hood like a myth, part of a fairy story." The director, who also worked with Russell in 2000's "Gladiator," said he dropped all the cliche images associated with story. "I never liked the green tights," Ridley said. "I didn't like the feather in the hat. It didn't work for me. Even as a kid, it was not my idea of Robin Hood." Ridley's take on "Robin Hood" opens in theaters on Friday. Read Access' Scott "Movie" Mantz's review of the film, HERE!